New Delhi (India), Nov 27, (ANI): The Delhi High Court on Tuesday adjourned a petition filed by Delhi Government's former chief secretary Anshu Prakash, challenging the fresh breach of privilege proceedings initiated against him by the Assembly, to March 28, 2019. New Delhi [India], Nov 27 (ANI): IAS officer Ranbir Singh was on Tuesday appointed as the new Chief Electoral Officer (CEO) of Delhi. He will replace Vijay Kumar Dev who has been appointed as the Chief Secretary, Delhi Government. New Delhi [India], Nov 22 (ANI): The Delhi High Court on Thursday issued a notice to former chief secretary Anshu Prakash and sought a reply from the latter with regards to his alleged assault. New Delhi [India], Nov 17 (ANI): Anshu Prakash, who had accused Aam Aadmi Party (AAP) ministers of allegedly assaulting him during a late night meeting at Chief Minister Arvind Kejriwal's residence, has been transferred. 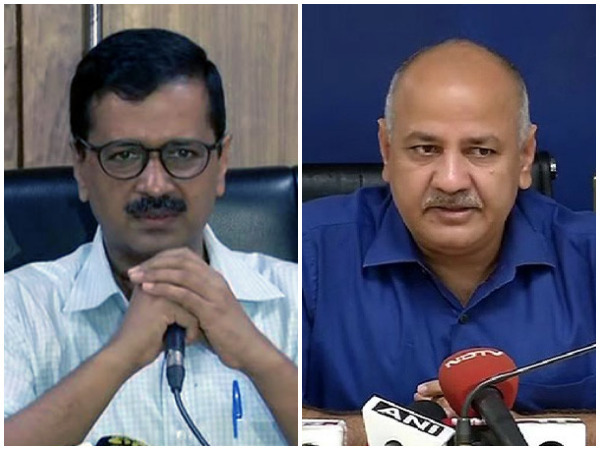 New Delhi [India] November 14 (ANI): The Delhi High Court on Wednesday issued notice to Delhi government, Assembly Speaker and the four committees of Delhi Assembly on the application filed by Chief Secretary Anshu Prakash against the privilege proceedings initiated against him. New Delhi [India], Oct 23 (ANI): A Delhi Court on Monday allowed the plea of Chief Secretary Anshu Prakash seeking appointment of a Special Public Prosecutor (SSP) in his alleged assault case. New Delhi [India], Oct 10 (ANI): A Delhi court on Wednesday reserved its order for October 22 on Chief Secretary Anshu Prakash's plea seeking appointment of a Special Public Prosecutor (SPP) in his alleged assault case. New Delhi [India], Sept. 25 (ANI): Delhi Chief Secretary Anshu Prakash on Tuesday called an emergency meeting, after the water level in Yamuna River rose above danger mark, following the release of water from Haryana's Hathnikund barrage. New Delhi [India], Sep 15 (ANI): Delhi's Chief Secretary Anshu Prakash on Saturday moved an application in the Patiala House Court appealing for a change in the prosecutor in the alleged assault case he filed earlier this year against Aam Aadmi Party (AAP) leaders. New Delhi [India], Aug 14 (ANI): Aam Aadmi Party (AAP) MLAs on Tuesday moved to the Patiala House Court seeking to restrain the Delhi Police from sharing contents or details of the chargesheet filed in the alleged assault case of Delhi Chief Secretary Anshu Prakash with the media.